OROVILLE, CA — Until visitors peer over the crest of 770-foot Oroville Dam, which stores the cold Sierra waters of the Feather River and is the tallest dam in the United States, it’s hard to tell a drought grips Butte County, or any of the other neighboring Central Valley counties in this part of northern California. The dirt-lined transport canals are filled to the top with water that slakes the thirst of thousands of hectares of rice, sunflowers, peaches, corn, soybeans, and all manner of California’s agricultural cornucopia. Unlike the southern reaches of the Central Valley, there’s no sign of the empty spaces of brown dirt where tomato fields lie fallow, or laser-leveled orchards under moisture duress that have been ripped out. Quite the contrary. The region’s bullet-straight two lane highways pass by new orchards under cultivation, the roots of each infant tree politely dressed in swirls of drip irrigation line, and saluted by the short red plastic stake of a single spray irrigator. More surprising are the throngs of sunburned bathers and jet ski operators enjoying the deep cooling depths of two blue and bountiful manmade lakes that flank Highway 162. The highway is the primary route to enter this city of 16,000 residents, and to climb the Sierra foothills to reach the dam and its visitors center. The sight from the trail across the dam’s spillway describes a much different story. The Lake Oroville reservoir, California’s second largest, is 42 percent of capacity, according to the state Department of Water Resources. It looks it. Two million of its 3.5 million acre-feet of water are gone. A bathtub ring of rock and soil, 200 feet wide, circles the lake like a light brown rebuke to the will of its essential purpose. In much of the skeptical, government-suspicious United States that’s an odd appeal — looking to the authorities for guidance. In its matter of fact way, though, Wilson expresses the conviction held by most Californians that the authorities are actually capable of responding well to urgent conditions. More so than any state in the United States, and nearly any region of the world, the people in charge of California have shown a capacity to recognize and reckon with deep drought, high heat, sea level rise and several more of the high risk ecological realities of the 21st century. The result is a state that has set out on a very new path for building its economy and sustaining the quality of life on a foundation of legal requirements fit for the time — drastically reducing climate emissions, increasing energy efficiency, requiring net zero energy use in new buildings, conserving water, and electrifying transporation. Frankly, in a world that is largely ignoring the regular outbursts of a truculent planet, it’s a relief. Thank goodness for California. Fifteen years into the 21st century it’s abundantly evident that ecological, economic and demographic conditions are radically different than they were in the 20th. Seven billion people inhabit a planet that is pushing back hard against mankind’s elevated and foolish sense of dominion. Earthquakes, vicious floods, and murderous landslides now regularly bury villages, kill thousands, and utterly ruin hydropower projects in the Himalayas, where 100 million more people live than in 1990. Tsunamis kill 240,000 people in the Indian ocean, 18,000 people in Japan, and shut down Japan’s nuclear power sector. Plagues of plant diseases wipe out grain crops in Latin America and feast on Canada’s Rocky Mountain forests. A 12-year drought in Australia shuts down the largest rice industry in the southern hemisphere. In China, 8-year-olds in major cities are treated for lung cancer. The United States is no stranger to the turmoil. Hurricanes drown New Orleans and New York. Great Plains tornadoes are killing and injuring record numbers of Americans. Sea level rise regularly floods the streets of Miami. Poison algae shuts down drinking water systems on Lake Erie. Farmers drain the precious waters of the Ogallala aquifer. Deep snow buries the Northeast and turns airports into sleepover hostels. In almost all of the world, despite the mounting calamity, people largely react with an indecorous and dangerous indifference, even haughty ignorance. Challenged by annual Himalayan floods, earthquakes, and landslide disasters Indian authorities still insist on pushing ahead with plans for more big hydropower dams. China promised in November to reduce its climate-changing carbon emissions but the country’s annual consumption of coal draws closer to 4 billion metric tons, four times more than is mined in the United States. And then there’s California. Perhaps because Californians exist in a perpetual state of peril aggravated by its fast-rising population, a consensus emerged a long time ago that to live and thrive here comes with a public responsibility to match supplies of energy, water, food, transportation, and housing with demand. And to provide adequate safeguards. In any given year, after all, Californians confront real emergencies — killing floods, huge wildfires, earthquakes, and drought. The 21st century has added intense heat, sea level rise, and a plague of Sierra forest-killing beatles to the list. A state formed from the rush for gold, and nurtured by the bright sun, California wasn’t always so dangerous. In the 20th century, when California had more moisture, less people, and unlimited moxie, Californians believed they could overpower and subdue the Earth. In every corner of the state’s governing and business infrastructure Californians installed an abundance of measures to pursue a lifestyle of color, speed, style, and abundance. The Oroville Dam, completed in 1968, and Lake Oroville are apt examples. Among the largest of the West’s dams, and capable also of generating nearly 800 megawatts of hydroelectric capacity, Oroville Dam fit the American 20th century’s development strategy of building big, centralized, expensive, and durable economic infrastructure. The dam and its reservoir are fixtures in the state’s essential water supply network that collects fresh water from the north and distributes it through a network of rivers and canals to farms and cities throughout the state. California would not be California without its surface water collection, storage, and transport system. The current depleted condition of Lake Oroville is an apt example of California’s challenge in the 21st century. The state is drying. 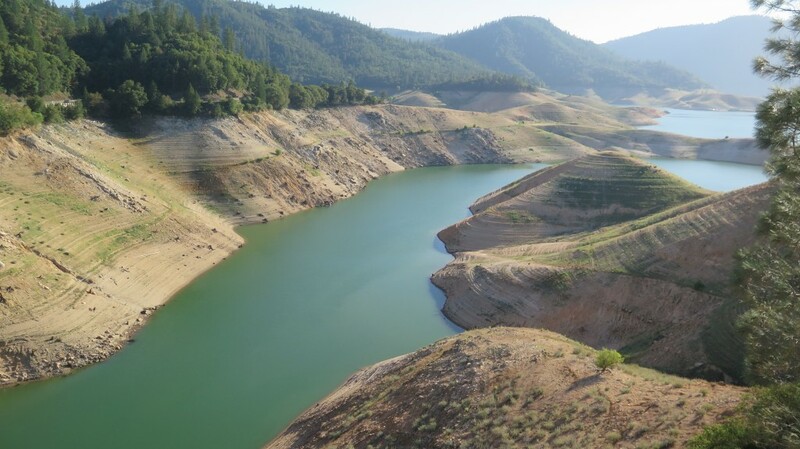 California isn’t yet in a full blown panic about its fourth year of deep drought because water management professionals and governors of both parties recognized that California’s water-scarce condition could be the new norm. They accepted the scientific consensus that it could get considerably worse. The way out of the trouble was to convince state residents of the need for collective action, and stamp behavioral changes in homes and businesses that diminish demand and provide a higher measure of safety. — A 2002 statute to require sharp reductions in climate-changing emissions in vehicles, which account for 40 percent of greenhouse gases. — A 2005 executive order that mandated a 20 percent cut in climate emissions from all sources from 1990 levels by 2020, principally by encouraging the development of new buildings that either were so efficient or generated their own power, achieving “net zero” energy use. — A 2006 statute that established market tools and new regulations to cut climate emissions 25 percent from 1990 levels by 2020, and 80 percent by 2050. 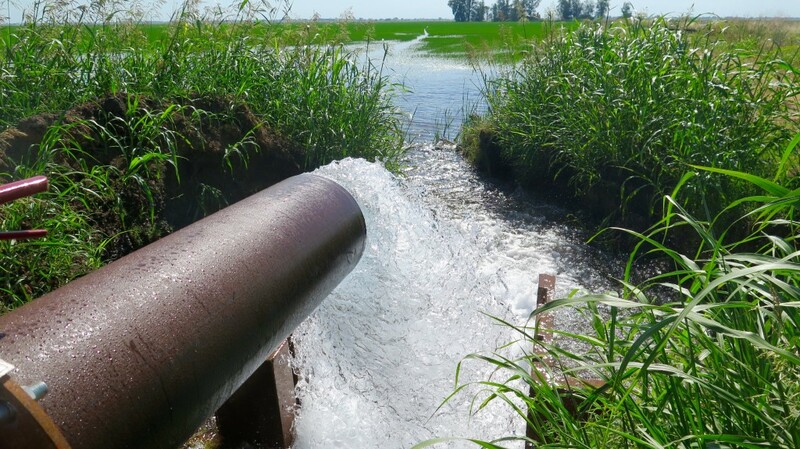 — A 2009 statute that requires water consumption in cities to be cut 20 percent from 1990 by 2020, and is leading to a nearly 30 percent reduction in water consumption on farms by 2050– a reduction of 10 million acre feet of water annually, according to a Legislative report. Demand for water — 44.5 million acre feet in 2013 — will hold steady through 2050, according to the Department of Water Resources even as the state’s population could reach 60 million, 21 million more than today. — A 2010 statute requiring more aggressive and advanced steps for reducing solid waste 75 percent by 2020 through recycling, composting, waste reduction, and bio-processing to produce electrical energy. — A 2011 statute requiring California’s utilities to generate 33 percent of their electricity by 2020 with renewable sources other than hydropower. 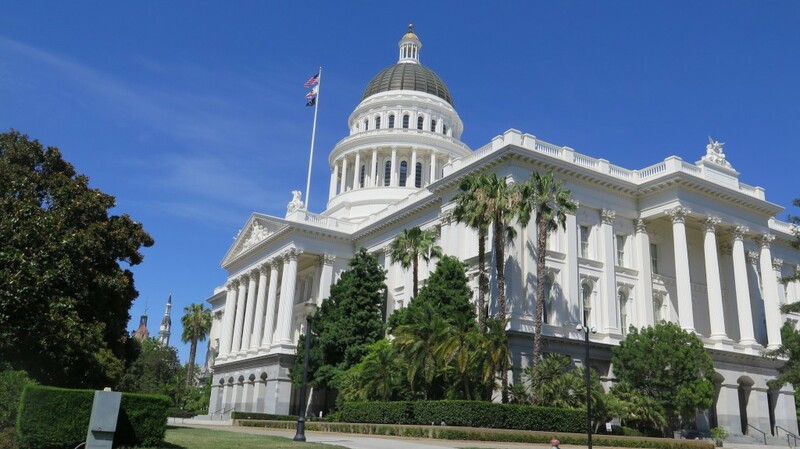 — A 2014 statute that draws California groundwater supplies and use under state oversight in order to limit the serious groundwater depletion, pollution, and land subsidence in the Central Valley. The effect of these and other measures is that state residents are settling into a new kind of California dream that is cleaner, more resource efficient, less polluting, and more right-sized for its time. 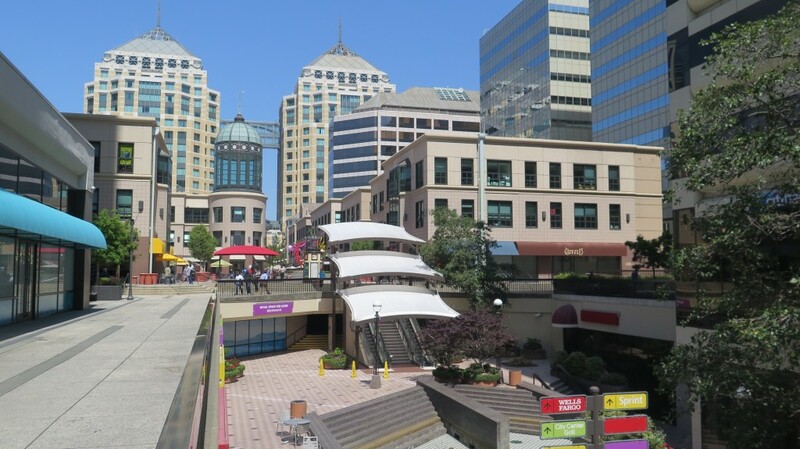 Oakland, once viewed as among the country’s most dangerous cities, is luring new residents to streets lined with new housing, parks that boast clean natural streams that once were concrete lined culverts, and a wastewater utility that recycles food wastes into electricity. The city’s port, one of the country’s largest, provides electrical power to arriving ships to end the use of polluting diesel generators while they are loading and unloading. 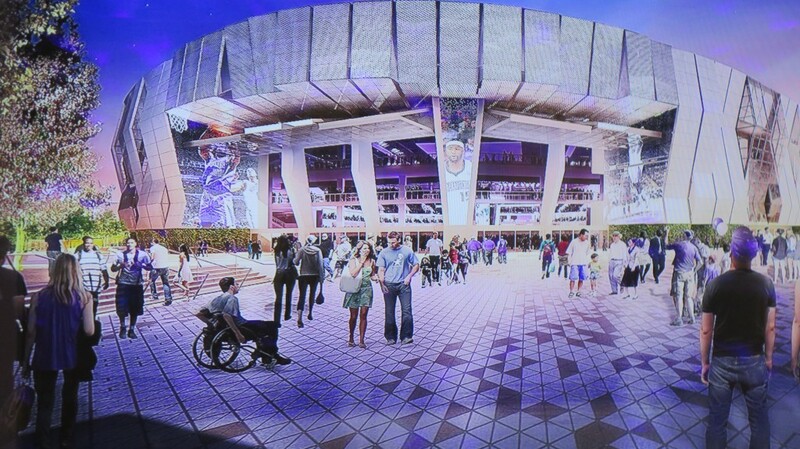 Sacramento is building an epic wired smart arena in its developing downtown that will guide NBA fans around traffic jams and allow them to enter its ticketless confines using facial recognition scanning technology. A $20 billion idea for a high-speed rail network that connects Los Angeles to major cities in the Central Valley and Bay Area survives and is starting to show promise of actually getting built. While these new indicators of progress gain momentum many of the old indicators, such as job growth and business starts, are a pure reprimand to the familiar and persistent challenge to an old convention — that reducing climate emissions and pursuing energy developnment that avoids fossil fuels cripple economies. California’s unemployment rate, 6.3 percent in May, is half what it was in 2010. The state has been adding 50,000 new jobs monthly. Business starts are way up. Housing values are climbing. In Oroville, a steady stream of late model cars and apparently content visitors arrive at the Oroville Dam to gauge the lake’s receding surface. The blue green water and sable-colored tub ring are a tableau of poetic deficiency, an adventure in unyielding water scarcity and ecological risk. But the murmurs of concern and the long gazes don’t express fright. It’s California. The state has a plan. It’s working.